Thanks for stopping by Tea, a Drink with Jam & Bread! I’m Sheila–aspiring food blogger by day, law student by night. I started this blog because I love food. Loooove it. I’ve long been a vegetarian, and I somehow got through college eating only veggie burgers, canned beans, and ketchup. My longing to eat yummy food (built up over years of stalking other food blogs), combined with my hope of saving money on expensive processed foods, led me to finally try my own hand at cooking. While I find myself flailing in the kitchen periodically, I’m slowly learning through trial and error. Most importantly for my own growth, I’m learning to approach healthy eating by looking beyond just counting calories, and I’m developing a better understanding of the nutritional, social and environmental impacts of my own food choices. Through this blog, I hope to share a mix of healthy and indulgent vegetarian and vegan recipes, and inspire you to step into your own kitchen. In the process, I might also share a story or two about my adorable 2 year old niece, my latest workouts, and the woes of being in law school. Oh, and you’ll also be seeing a lot of coconut around these parts. And maybe, like, some actual vegetables too. Feel free to contact me with questions/comments at jamandbreadblog@gmail.com! Thank you so much Rah! That is so sweet of you. hehe thanks allison- it’s inspired by The Sound of Music, of course! Beautiful blog — and excellent name! Look forward to more posts! This is an amazing blog!! And I always love one that’s vegetarian :) Look forward to trying out some of your recipes! Sheila not seen you around in the blogging world from a while now. Guess you been busy with studies. I’m so glad I stumbled upon your blog. Enjoy going through your posts & I like all the chit chats we have about different recipe’s. 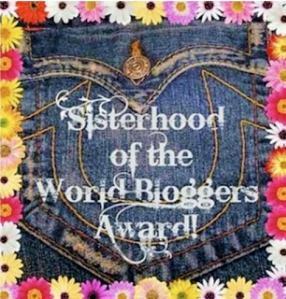 I’m nominating you for the “Versatile Blogger Award”. You can check the rules to accept & share the award through the link here – http://kelipaan.com/awards/. Hi Sheila! We tried your thai curry recipe yesterday and really liked it! Can’t wait to try making the lentil walnut veggie burgers! :) Hope things are going great!